I have yet to find a pair of shoes by Jeffrey Campell that I don't love. so pretty! I like the black ones best, but then I have a penchant for black anything. 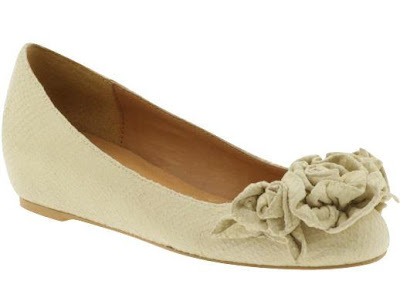 This reminds me that I REALLY need some new flats! i have the jeffrey campbells in silver/pewter. I am actually wearing them right now! I LOVE them. Awesome collection of marvelous designer shoes. OMG!!! These shoes are so cute. I hope to have these and be part of my collections. LOL!!! Wow, I love the fabric flowers on the Kelsi Dagger shoes! Those Jeffret Campbell's are perfect! And I've been needing a pair of black flats. very lovely and pretty indeed! love the black ones! th ebow is so cute!